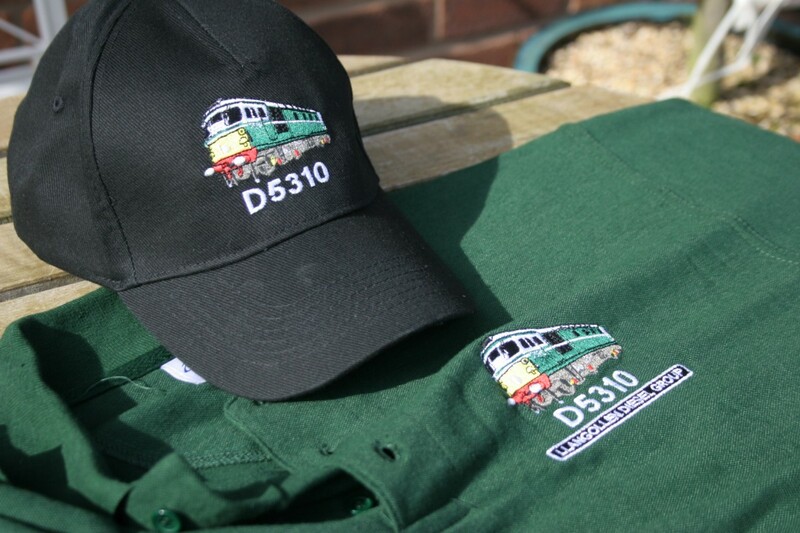 We are very pleased to be able to offer a range of LDG merchandise, ideal for Christmas, Birthdays or indeed any other special occasion! 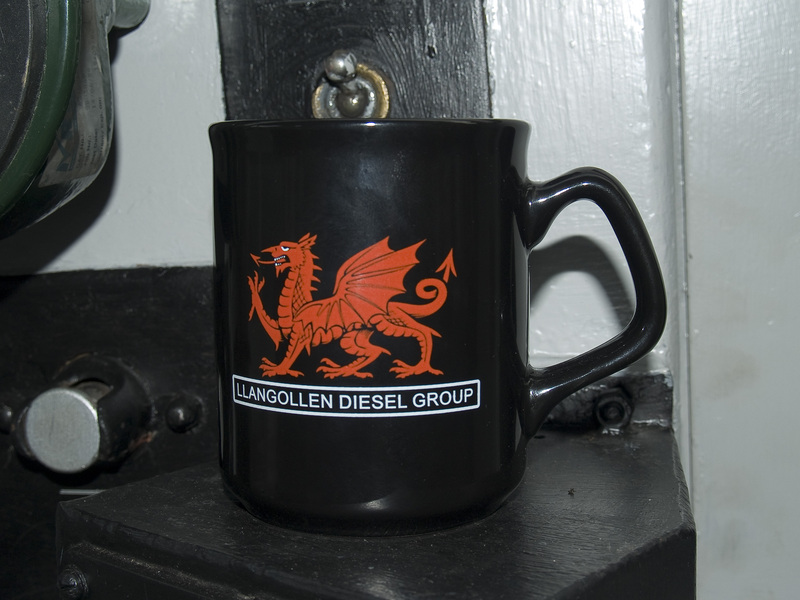 These high quality items are available to purchase in the Llangollen station shop and also on most running days from our sales team. 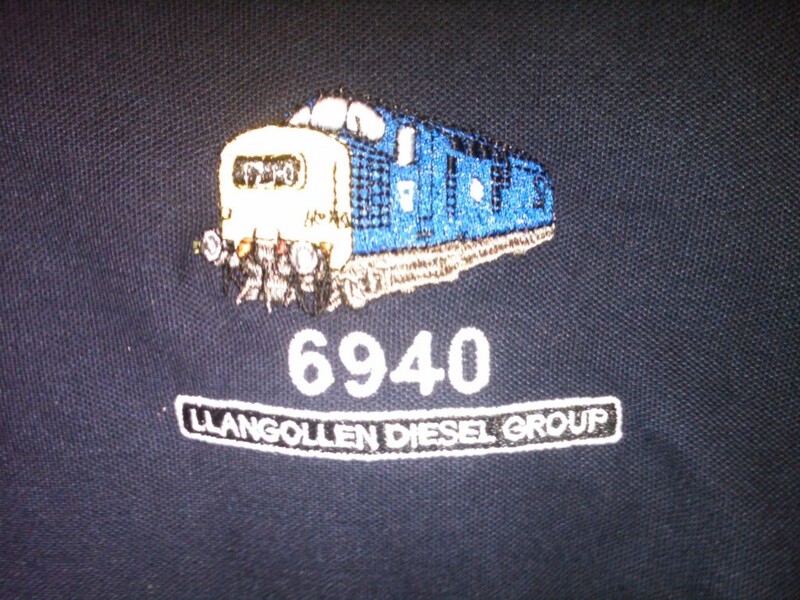 If you would like to invite our trade stand to an event or have any other enquiries about our range please contact Sales@llangollen-diesels.org.uk and our sales maestro Bryn Jones will be happy to get back to you. 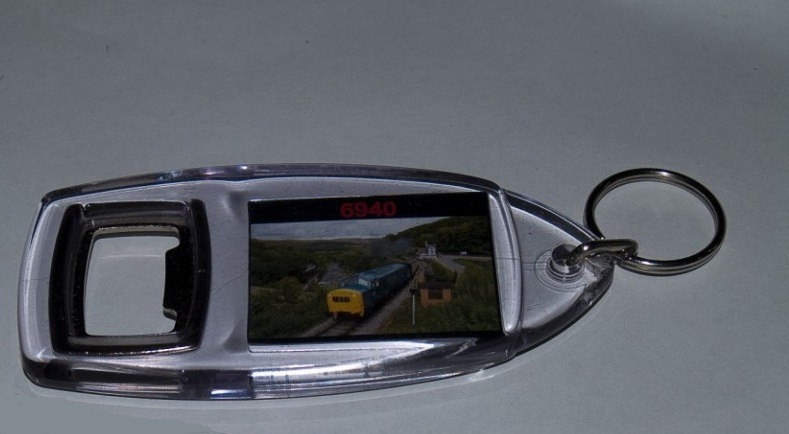 We are able to offer polo shirts, baseball caps, mugs and key rings featuring quality images of our fleet. DVDs and books are also on sale in the shop at Llangollen and from our sales stand. 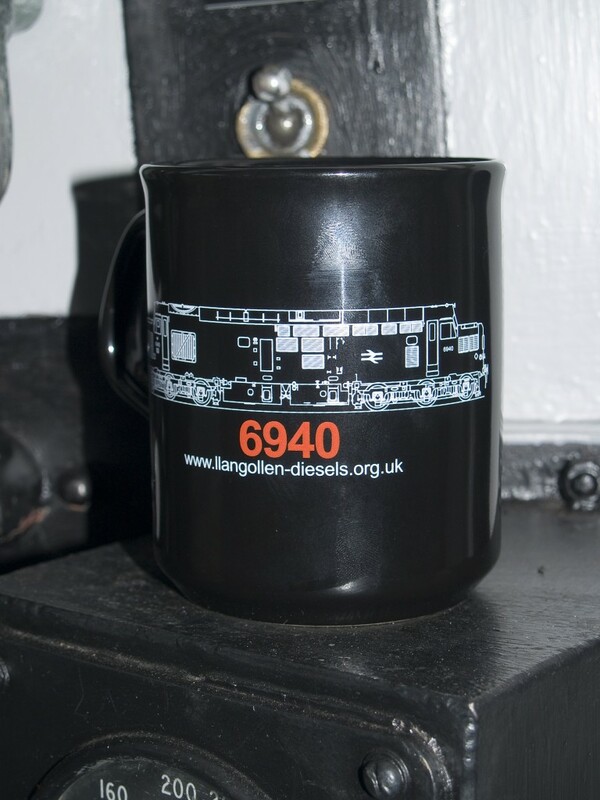 Here is the mug, in black with a white outline of an extremely rateable EE Type 3…….. 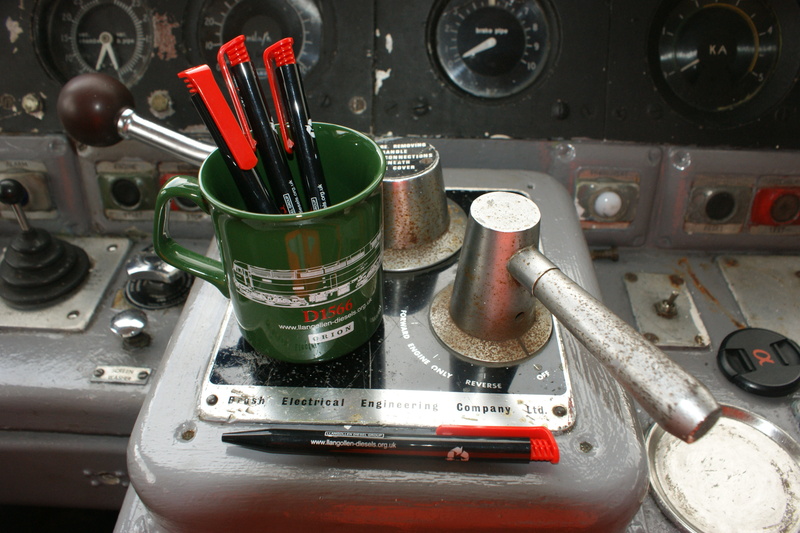 Enjoy your brew from a Brush Type 4 mug in a fetching green (not two tone!) sporting a white line drawing of D1566 complete with “Orion” nameplate and the LDG dragon logo. Also on offer is an LDG pen made from recycled plastic (unfortunately not guaranteed to be made from pieces of Virgin Voyager!). We are very pleased to be able to offer a range of the popular Visions International DVDs which feature heritage steam and diesel traction at its best on both the mainline and preserved railways, including footage of our locos at work. We also offer a large range of second-hand railway books on a diverse range of railway subjects at very reasonable prices from our sales stand, including some rare titles. Brilliant to see & hear so many diesel’s on the tracks today. 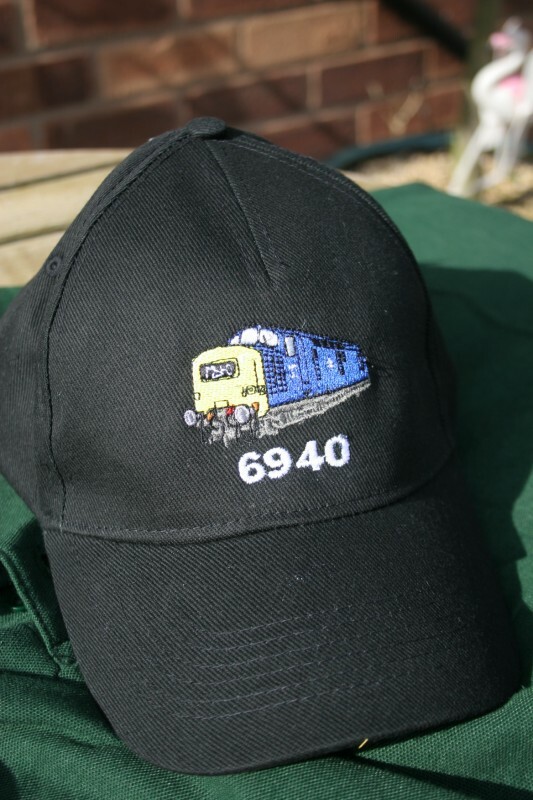 D6940’s my favourite.